Hi everyone, last thursday I interviewed Valentin Rapin, the co-founder of Arioneo. Today he is the general manager, in charge of the sales, marketing and communication of the company. I have asked him some of your questions and now I bring you the answers - I hope you enjoy! Created in 2014 by Valentin Rapin and Erwan Mellerio, Arioneo is one of the brands everyone is talking about! The equestrian background of the two co-founders both professionally and personally made them feel the need to know more about the well-being of horses. After deciding to create the company, they got together with their associates and started developing their connected sensors. "The vision of the company is to improve horses health and performance. Today we have two different ranges: the Care Range that was built to monitor the horse while he's resting, being transported or at the paddock. The other one is the Performance Range and this one is dedicated to monitoring the horse during training. The goal is to improve their performance and to prevent some injuries, specially locomotion injuries", Valentin explains. Equestrian Trend: How can such a small equipment tell us so much about our horses? 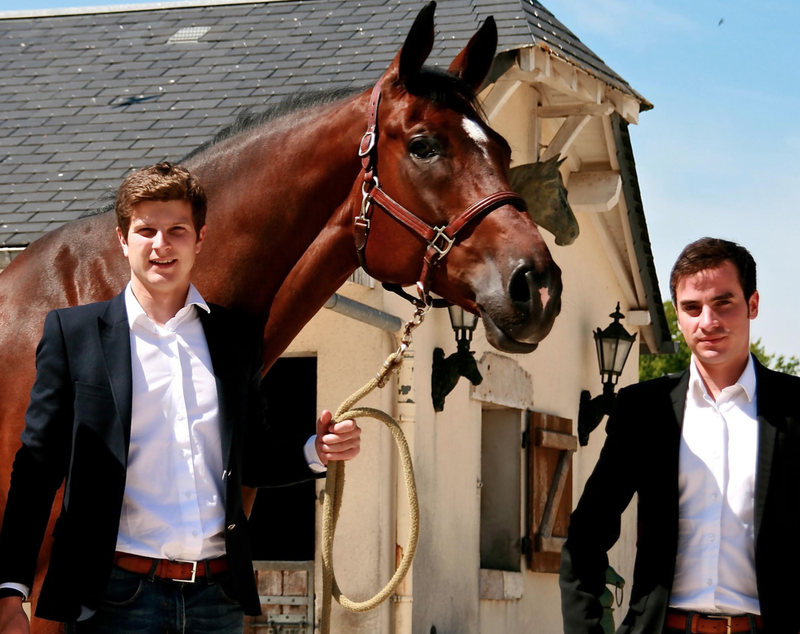 Valentin Rapin: Inside we've got a sensor that captures the horse's movement, temperature and moisture. 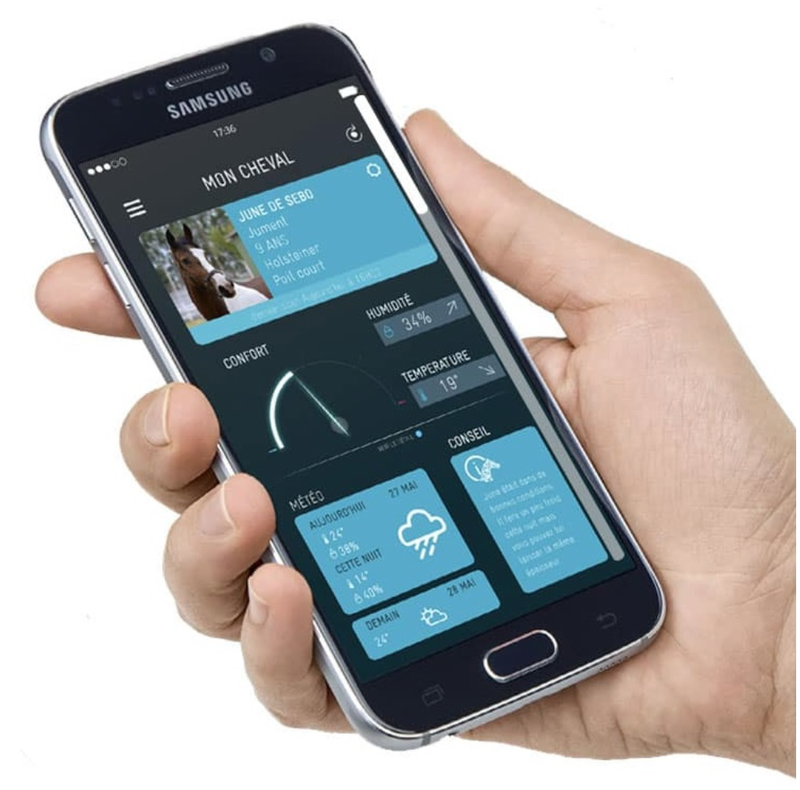 We use an algorithm that we have developed, it crosses these parameters with the outside temperature and humidity, then all the information is communicated to our phones via bluetooth and we can easily have access to that data in the app which is very user friendly. To develop the product we have done studies with famous French researchers. The first one was a study on horses' behavior and then there was a study on the horse thermoregulation - how they adapt their body to the cold weather, what are their needs specially when they are clipped - and this is how we have been understanding what's their comfort zone. Every parameter was tested to make sure everything worked properly. Equestrian Trend: I know you are developing a new product, can you tell more about it? Valentin Rapin: We are developing Equimetre, which is the reason we have created the company at first. It works like other products in the sports industry (soccer, rugby, ...) that collect all the biometrics of athletes and give stats to the trainers. We are developing the exact same thing for horses and specially for the first time for the horse racing industry. Equestrian Trend: Do you ship internationally and in which countries do you have retailers? Valentin Rapin: We do but today most of the sales are in France. We are launching in the UK this weekend so today we already have a lot of sales from the UK. 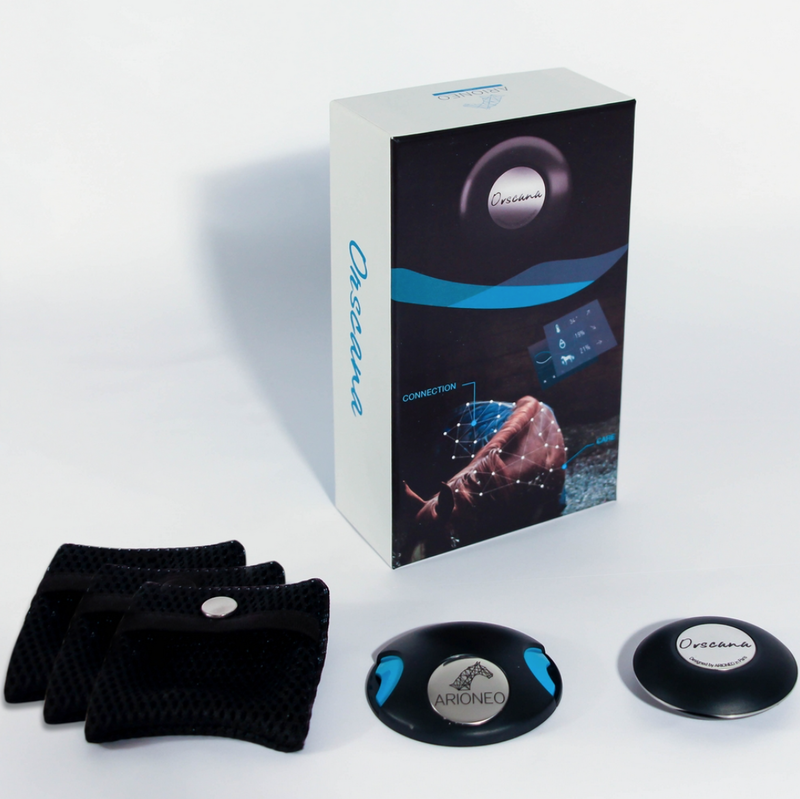 We are also selling abroad in Belgium, Switzerland, The Netherlands and we will be selling in Germany in 15 days. We are also selling in the US and we will focus in that market. We wanted to make sure our product worked first in France, to get the feedback from our fist costumers and to make sure it was user friendly. Now that this is done and that we are very confident with our product we are ready to sell it abroad. Equestrian Trend: What is the feedback you have been getting from your clients? Valentin Rapin: Today one of the main questions we are answering is the well being of the horse in his blankets so at this moment our goal is to give an objective view of the thermoregulation of the horse. This is very important because people, including me actually, are "over blanketing" horses, we want to cover them like we cover ourselves but by doing this we can get them some troubles, specially respiratory problems. We are here to help people managing all those things. When you set the sensor on your horse it's like you have your hand 24 hours inside the rugs so you can know how your horse has been feeling everyday. We know that people are checking the app almost everyday once they start using it because it gives them more confidence. For professionals the product is very useful during transport. When they do long trips with the horses, the only way to know if the horse is too hot or to cold under the blanket is to stop and go pass their hand under it but with our app they can have that information in real time. It's also great if you're away at a show and you leave some horses at the stable, you can check the app to know if they had a normal activity during the day. 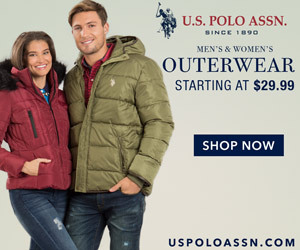 Equestrian Trend: You use the clothes locking system and it looks really secure but if the horse manages to pull it out, will the fixing pin hurt him? Valentin Rapin: We are developing another fixture system and we will change the Orscana pack: we will add more pockets in it - today you only get one fixture system with one pocket but in a near future you will get 3 pockets and one fixture system. We will recommend the use of the fixture system only for short time periods (during transportation for example) and we will recommend for the long time use to sew the pockets on the rugs. Equestrian Trend: What sets you apart from the competition? Valentin Rapin: We are one of the first companies selling these products on the market, having resellers and selling the product on our website. 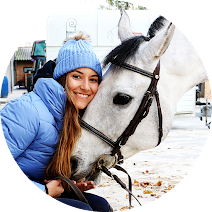 We've got a very professional view on our device development because we are always adding new professionals to it (scientists, trainers, horse owners and engineers). Our main qualities are our algorithm that is very efficient and our very user friendly interface. There is a very strong tradition in the equine industry around the world but we don't want to go against this tradition, we are really developing our product to go with the tradition. We won't take away the human feeling which is always the most important in the relashionship between humans and horses but we will try to provide people some data and some vision of the things that they can't see with the eyes. I would like to thank Valentin for taking the time to answer these questions!